Undercutting calls for Republican unity, Texas Sen. Ted Cruz stubbornly refused to endorse Donald Trump Wednesday night as he addressed the GOP convention, igniting thunderous boos from furious delegates as he encouraged Americans to simply "vote your conscience" in November. 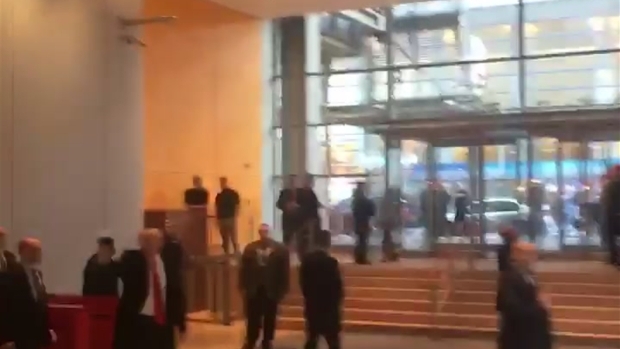 In a surreal moment, Trump unexpectedly walked into the arena just as Cruz was wrapping up his remarks. Delegates chanted Trump's name and implored Cruz to voice his support for the businessman, to no avail. "Vote for candidates up and down the ticket who you trust to defend our freedom and to be faithful to the Constitution," Cruz said. While he backed some of Trump's policy proposals, including building a wall along the U.S.-Mexico border, he mentioned the GOP nominee by name only once. Cruz's defiance ripped open party divisions anew, on the summer's biggest political stage. Trump allies were infuriated, including New Jersey Gov. Chris Christie, who said Cruz's decision was "totally selfish." The remarkable moment upended what was shaping up to be the convention's most successful night, and overshadowed Indiana Gov. 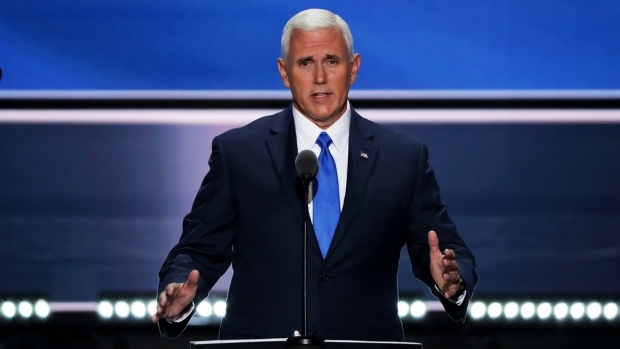 Mike Pence's national convention debut as Trump's running mate. "You have nominated a man for president who never quits," Pence said. "Until now, he's had to do it all by himself against all odds, but this week, with this united party, he's got backup." Trump joined Pence on stage, applauding his new political partner and humorously leaning in to nearly give him a kiss on the cheek. The campaign had hoped Pence's address would quiet Republican doubts about Trump. Unlike the celebrity businessman, Pence is an experienced politician, favorite of conservatives and ally of party leaders. But Cruz's appearance left the arena unsettled for the night's closing speakers. 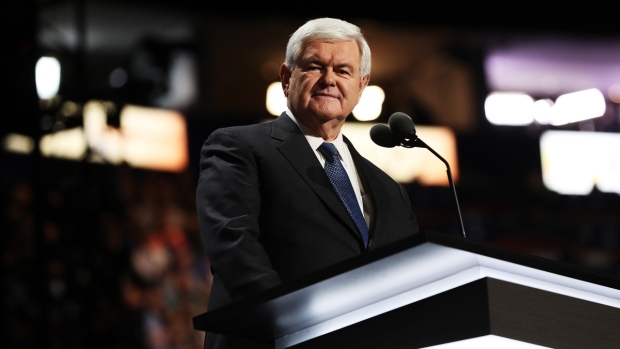 Former House Speaker Newt Gingrich tried to quiet the anger as he took the stage, going off script to try to explain away the senator's lack of support for the nominee. "Ted Cruz said you can vote your conscience for anyone who will uphold the Constitution," he said. "In this election there is only one candidate who will uphold the Constitution." Cruz told Trump in a phone conversation two days ago that he would not endorse him during his speech, according to Cruz aide Jason Johnson. Still, Trump's campaign invited Cruz to speak — in a headliner role, no less. That decision was sure to spark a new round of second guessing about the campaign's management of the convention and preparedness for a bruising general election against Democrat Hillary Clinton. Clinton's campaign, seeking to take advantage of the GOP divisions, echoed Cruz on Twitter, writing, "Vote your conscience" and linking to her website. Trump did get a boost from Wisconsin Gov. Scott Walker, one of the 16 Republicans whose White House dreams were vanquished during the primary. Still, Walker suggested he was driven as much by a desire to keep Clinton out of the White House as admiration for his party's nominee. "After a long and spirited primary, the time for fighting each other is over. 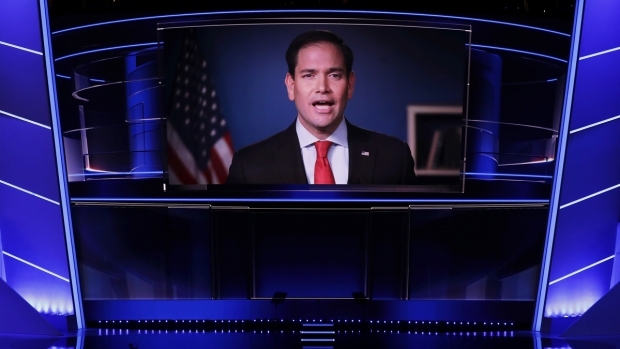 It’s time to come together and fight for a new direction for America," said Marco Rubio at the convention video video. "Let me be clear: a vote for anyone other than Donald Trump in November is a vote for Hillary Clinton," Walker said. After two nights of mostly low-energy speeches, the crowd packed into the arena was noticeably more energetic Wednesday night, dancing in the aisles and waving signs reading, "America Deserves Better Than Hillary." Lynne Patton, a longtime Trump employee, spoke movingly about the businessman's strong family. Patton, who is black, said she was proud to support Trump "not just in spite of the color of my skin, but in fact because of the color of my skin." Trump's campaign had hoped that by the convention's end, voters would look past the gathering's rough start, including the plagiarism charge involving Melania Trump's opening address. After 36 hours of denials, the campaign moved to put the matter to rest Wednesday, releasing a statement from a speechwriter who took blame for including lines from a Michelle Obama speech in the remarks. Trump and Cruz have had a complicated relationship throughout the presidential campaign. Cruz first allied himself with the businessman, banking that Trump's campaign would collapse and he would be able to scoop up his supporters. But as Trump rattled off primary wins, tensions rose between the candidates. Trump sparked rumors about Cruz's wife and father. Cruz criticized Trump as a "pathological liar" and "utterly amoral." Trump began calling Cruz "Lyin' Ted" at every opportunity. Cruz arrived in Cleveland with an eye on his own political future, holding a rally with hundreds of supporters who greeted him with chants of "2020" — suggesting his backers have no interest in seeing Trump become a two-term president. In his convention address, Cruz spoke at length about the recent stretch of violence across the country. He urged Americans to fight for the families of five police officers killed in Dallas, as well as the family of Alton Sterling, a black man killed by police in Louisiana. Republicans kept up their harsh attacks on Clinton, painting an apocalyptic vision of America if she should win and aggressively challenged her character. While Clinton has been a target of GOP ire for decades, the harshness of the attacks has been striking. For a third straight night, the crowd repeatedly chanted, "Lock her up." Though anti-Clinton sentiment is an easy way to bring Republicans together, the negativity crossed the line for some in the party. "Certainly races can be won based on focusing on the opponent," said Sen. Bob Corker of Tennessee. "But I think we're at a place in our country's evolution where it's particularly important now, with all that's happened and the concerns that people have, for a positive vision to be laid out." Trump's family also kept up their efforts to rebrand the brash candidate as a warm husband and father. Eric Trump, the candidate's 32-year-old son, took the stage near the evening's end, praising his father as other family members had earlier in the week. "Vote for the one candidate who does not need this job," he said. AP writers Jonathan Lemire, Kathleen Hennessey and Steve Peoples in Cleveland, Barbara Rodriguez in Des Moines, Iowa, John Hanna in Topeka, Kansas, and Meg Kinnard in Columbia, South Carolina, contributed to this report.